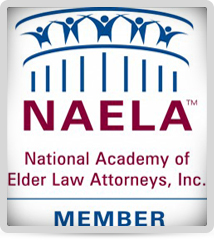 The role of an Estate Planning and Elder Law Attorney is to protect your assets against the ravages of nursing home costs, probate and estate taxes as well as insure that your legal health concerns are addressed. My philosophy is simple. You should not engage any professional, whether doctor, lawyer, or accountant, you do not trust, are not comfortable with, or who does not explain things clearly. It is my job to make you comfortable, earn that trust, and explain things in a way that will make sense to you. You should not have to pay for information. As such I offer a free consultation for most situations, during which I try to get an idea of what you are hoping to clarify or achieve. Knowing your goals and concerns, I will generally walk you through a checklist to better understand your situation and then be able to make recommendations as to what you should (or shouldn’t) do and why. If you decide to do something, great. If not, that’s okay. If your situation involves somebody with physical limitations, I am available for home & institutional visits. And both of my offices are completely handicapped accessible. Although I have this website because that is the way of the modern world, all meaningful Estate Planning and Elder Law work is achieved through your personal connection with a competent and caring practitioner who knows your specific needs and concerns and crafts solutions to satisfy them. As such, I invite you to call. I’m always happy to address a few general questions you may have. As my clients know, I always return phone calls within one business day. Chances are, if you don’t get me directly when you call (you usually will in the morning), I will return your call that afternoon or the next morning. And you will always deal with me, not my secretary, my para-legal, or somebody else who might unexpectedly appear from out of nowhere. In any case, thanks for stopping by virtually. The five part article I wrote comprising the headings of this website will give you some useful general information of Estate Planning & Elder Law. And if you want to address more specific concerns, feel free to give me a call at 781-575-0037 or 508-587-1920.